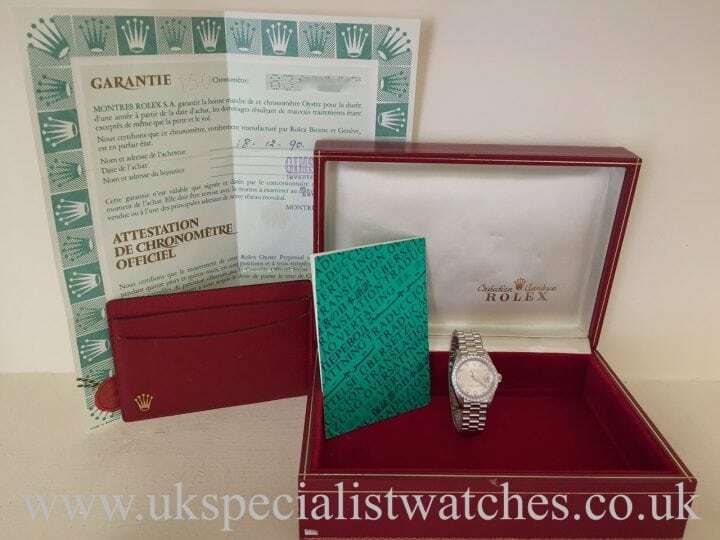 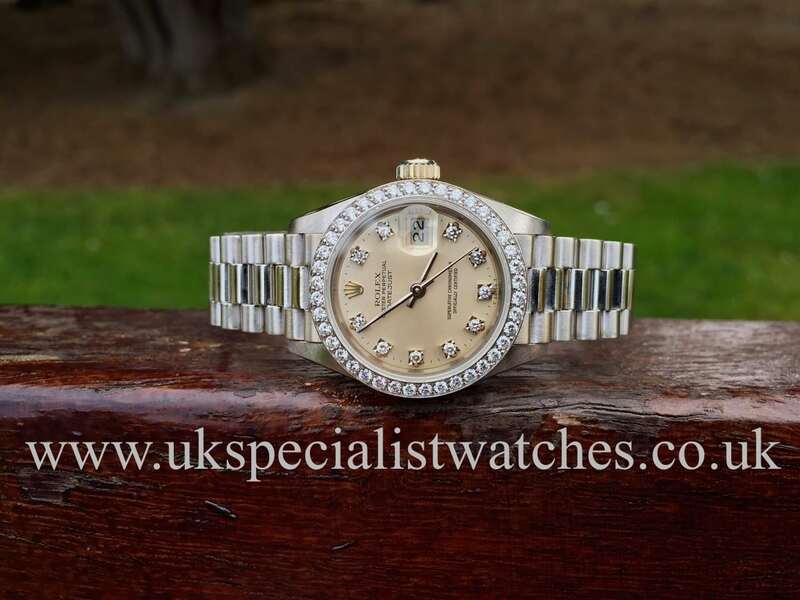 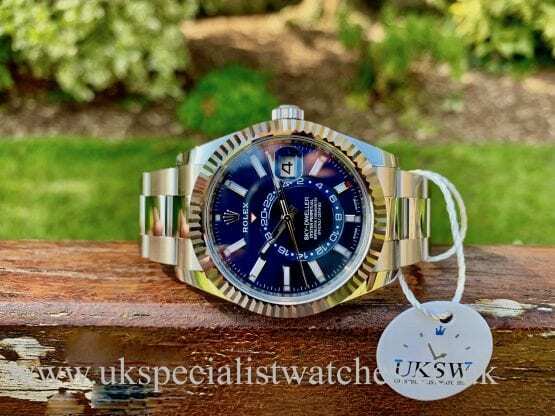 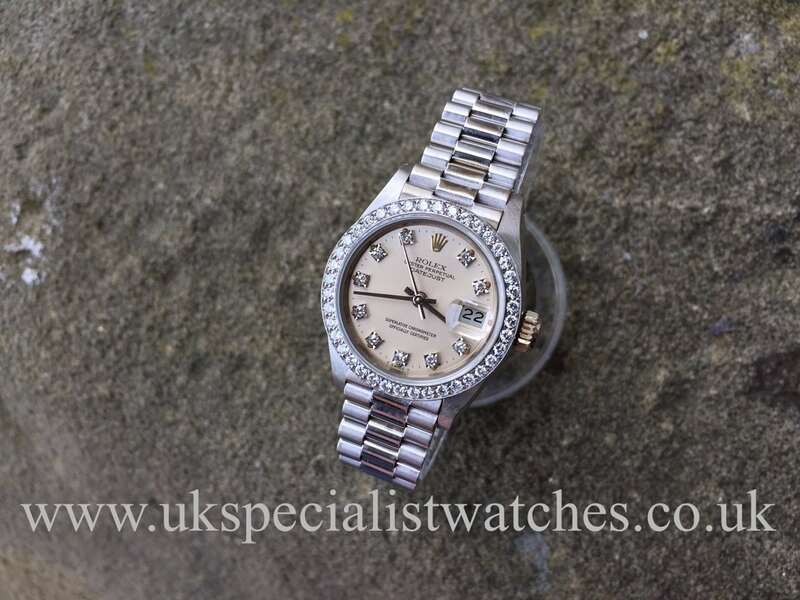 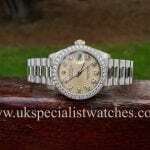 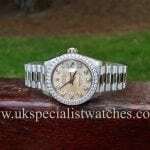 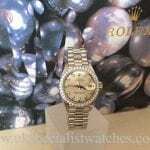 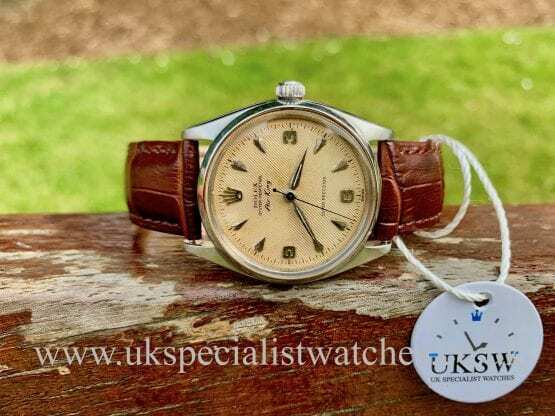 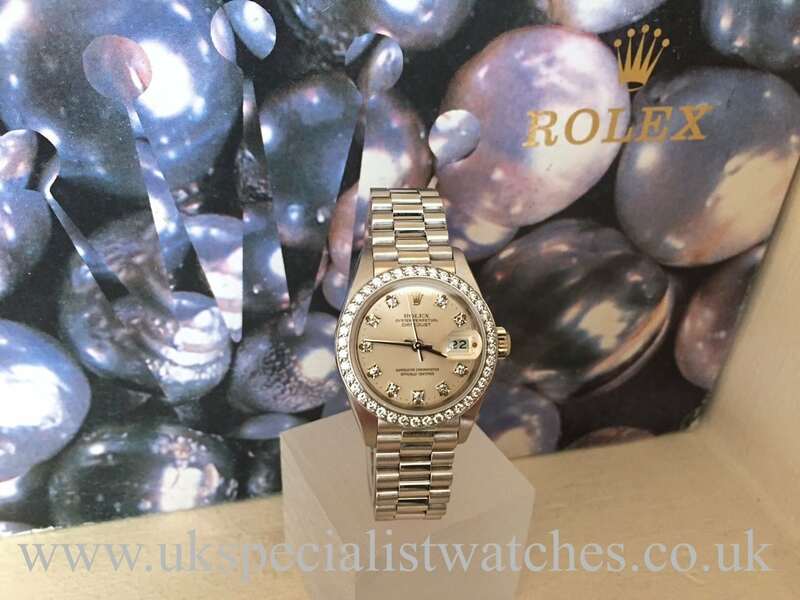 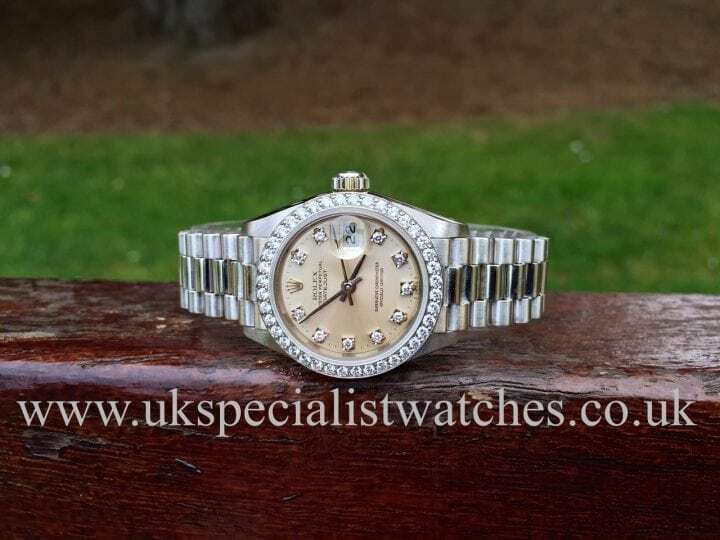 This 18ct white Gold Ladies Rolex President is one of the rarer pieces from the president range and is totally original Rolex factory set with 50 carefully selected brilliant cut diamonds, 40 on the bezel a further 10 on the dial. 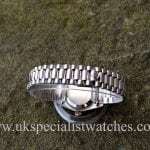 Solid white Gold president bracelet with concealed folding clasp. 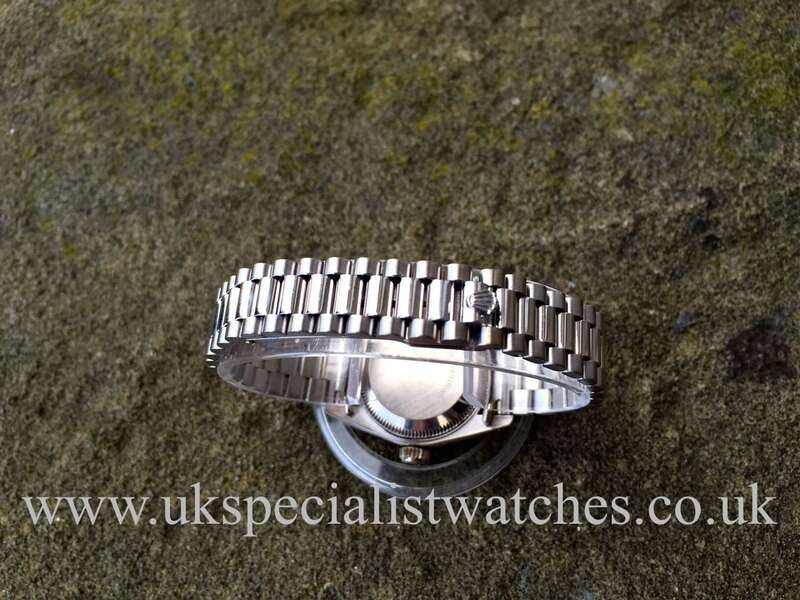 Waterproof to 100m, automatic movement. 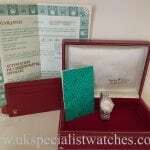 Supplied new December 1990 and comes complete with original stamped papers. The watch has just returned from a complete service and is in totally immaculate condition with no stretch to the bracelet whatsoever. 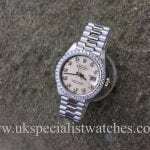 This watch now retails for over £24,000.